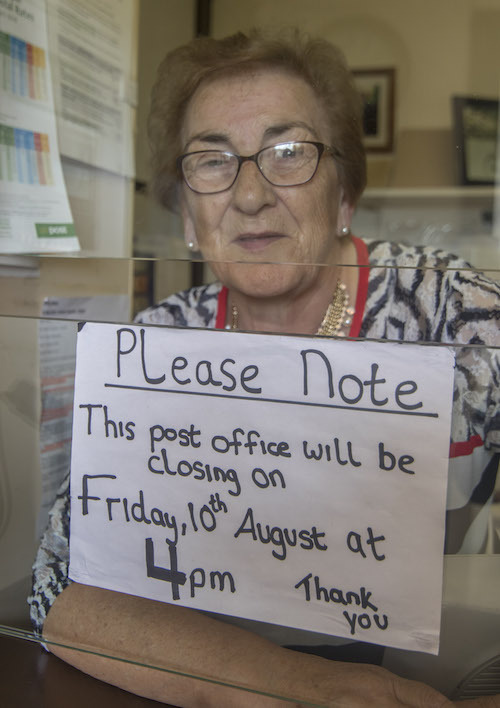 At 4pm today more than 180 years of tradition will come to an abrupt halt in a quiet Co Donegal village when Tillie Wilkin turns the key in the door of her white-washed post office for one last time. Mrs Wilkin is one of more than 160 postmistresses and postmasters around the country who have accepted An Post’s voluntary retirement package. It will be an emotional moment for Tillie and for her family in the village of Church Hill. Located 12 kilometres outside Letterkenny, the village sits proudly on the roadway leading to stunning Gartan Lake and further onwards to Glenveagh National Park. All week well-wishers have called into the post office to remember old times and to wish Tillie and her family well for their future. The grandmother of eleven has sat diligently behind the post office counter at Church Hill for more than 23 years. Her late husband Bobby, who passed away seven years ago, helped her run the business until his death. The post office began in the Wilkin family around the 1830s and passed to various local hands before Tillie took over the running of the office in 1995 from local woman May Gallagher. However, a hand-written sign sello-taped to the post office counter reminds Tillie’s loyal customers that the end of an era is rapidly approaching. She says that with retirement age fast-approaching, she had little option but to accept the package offered by An Post. She could have continued with her existing contract but with services at local post offices becoming more automated, she thought a retirement package was the most sensible choice. “To be honest my son Victor and daughter Elaine wanted to see if they could keep the post office on. “It suits An Post to close us because of the amount of business we’re doing and it makes sense for me to retire. “I’ll miss it. I just can’t tell you how much. I’ve done this for 23 years and I’m going to miss my routine and all the people who come in here each week,” she said. 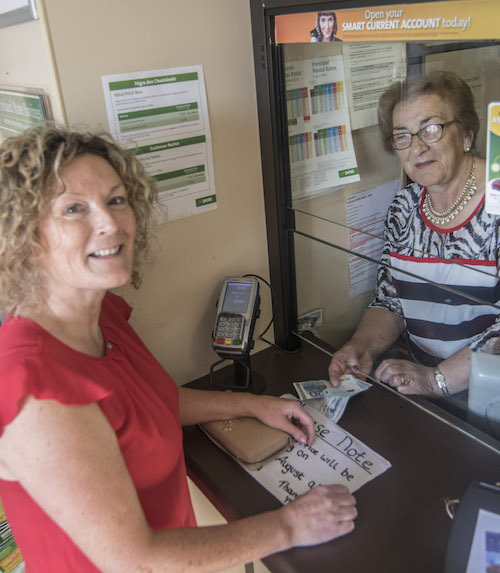 Customers who have used Church Hill Post office will now have to travel to Kilmacrennan Post Office 9kms away, to Breenagh 8 kilometres away or back to Letterkenny which is 12 kilometres away. 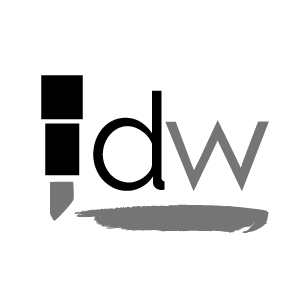 The distance is just within the range of 15 kilometres which An Post has said that more than 95% of its customers will be within a distance of to one of its post offices. However, that’s little consolation for people like Annette Duddy who calls to the post office in Church Hill for her children’s allowance. Annette said she will miss calling in to see Tilly and admits that she will do her post office business online from now on. “It’s so sad. I just called in to see Tillie as I knew she was closing and I wanted to wish her the best.  “I always collect my children’s allowance here and do whatever bits and pieces I have to do. But to be honest I’ll try and do it all online now,” she admitted. She will fill her time with her grandchildren but admits that since the death of husband Bobby seven years ago she doesn’t travel as much. She has traveled to Canda and throughout Europe but admits “I have my children but they have their children to and I understand that. “I loved to travel abroad with Bobby and I would love to travel again now that I have the time but it won’t be the same without my husband,” added Tillie. The family will also have to plan a little bit of renovation as the room which houses the current post office used to be their kitchen and will have to be used for something else. Son Victor is hoping that when the An Post employees finally pull the sign from above the white-washed wall, Tillie can rest and spent some time in the kitchen. “She’s a great woman and ran this business so well for the past 23 years. She deserves a rest now. “I’m sure she has her own plans and the grandchildren will keep her busy. “I’d love to see her doing plenty of baking and cooking as she is such a talented cook. She is renowned for it. “When the artist Derek Hill could not host dinner parties at his home at nearby Glebe House, he would come up to our house and mum would put on the most amazing dinner for them all here in our house,” he said. Tillie surveys the little post office and makes a mental note of the things which she will have to take with her before the door is locked one last time. A picture of her late husband Bobby, a picture of a former postman Denis McConalogue from the 1930s and a large wooden ornate clock which had two, minute hands for telling the time in London and Dublin during the days when telegrams were sent. 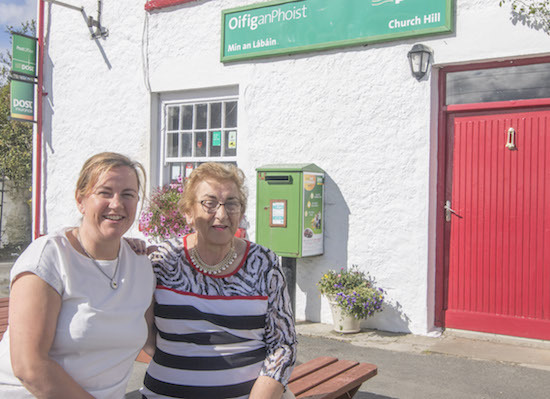 Daughter Elaine has been her mum’s support at the post office in recent years and along with her daughter Aoife, there have often been three generations of the family operating the post office. Elaine has stronger views on the closure of the post office which has been at the heart of her family for more than two decades. “What I will say is that apart from the business side of the post office, people are so going to miss the friendship and warmth of coming in here. 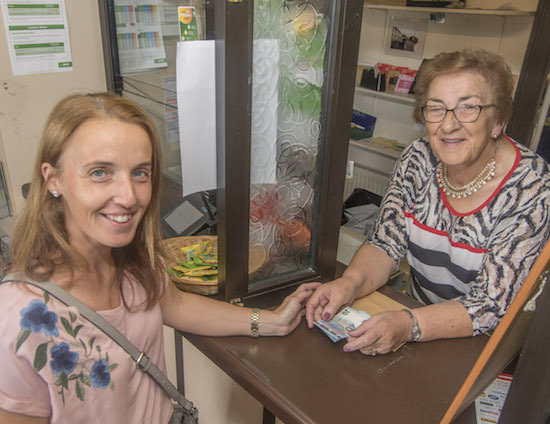 “There is a generation of people older than mammy who come in here once a week for their pension and this might be one of the only time in the week that they get out to chat to someone. “They don’t care about having their pension paid into a bank account online because they might not even have a bank account. “When they don’t appear on a Friday for whatever reason, we would ask someone else how they are just to check if they are okay. “All I can say is that the people who are making these decisions must not have family living in rural Ireland and must not realise what damage they are doing by closing yet another link that people have. “We have made our decision and we’ll get on with it but they should be careful that they don’t go too far,” she said. As she bids us farewell, Tillie admits that she is nervous about closing the door one final time today. She’s not planning any big party but will have a cup of tea as An Post employees come in to retrieve their property. Son Victor suggests trying to keep the large post office sign as a memento to hang in the family bar next door which he runs.